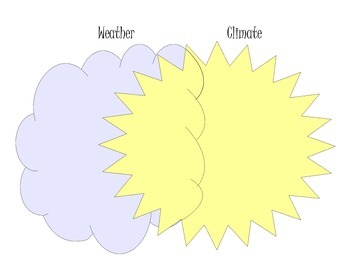 This is a venn diagram to help understand the similarities and differences in weather and climate. There are two slides: black and white and a colored version. I know this is a difficult concept for my students. I try to tell them the clouds aren't always around so they are short term, and the sun is always here so it's long term. I hope you enjoy this venn diagram!